Enjoy a romantic dinner, where you can sip on delicious cocktails, savor amazing food, and experience live Latin Jazz. 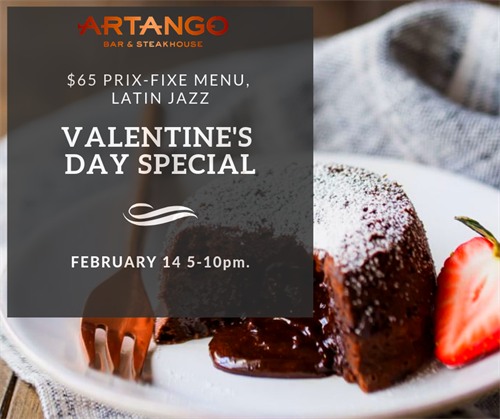 Delight yourself with our Latin-style prix-fixe dinner $65 pp that will win your lover’s heart. Prix-fixe menu will be available from Feb 14-17.